Randall Park reveals that he possesses the rare and strange ability to play music on his teeth, showcasing the skill for an astonished Larry King. Larry King: Tell me something people don’t know about you. Randall Park: Something people don’t know about me, oh gosh. I can play music on my teeth. Larry King: You can what? Randall Park: [Chuckles] Play music on my teeth kind of. Larry King: Like, show me. Larry King: That’s great. Now how do you do it? Explain how you do it? Or how did you discover that you could do it? Larry King: You a kid? 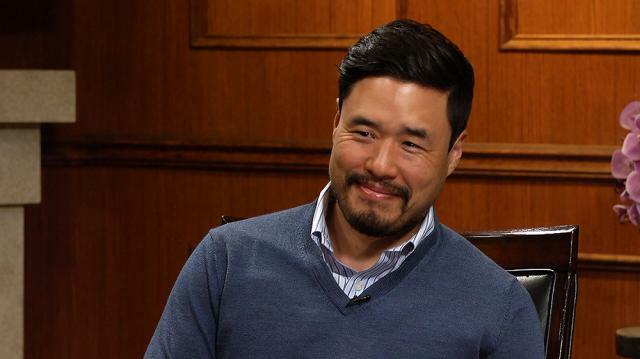 Randall Park: I was a kid, I saw someone do it, and I just tinkered with my teeth for the next year or so. Larry King: Are your teeth hitting each other? Randall Park: No, I’m hitting my teeth with my thumb. [Demonstrates] And then my mouth could create the—I don’t know, it’s instinctual at this point. Randall Park: Thank you, yes. Randall Park: There we go. Larry King: Another avenue for you. Randall Park: Yeah, yeah. I don’t know what it’d lead to if I won, maybe a record deal, I don’t know.